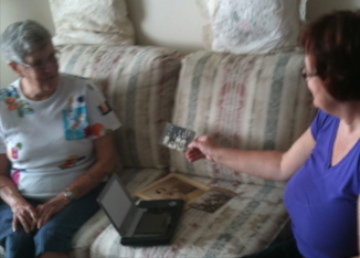 Michelle (Stephens) Hutchinson sent Olive Tree Genealogy a great puzzler from her family tree. Here is Michelle's email which I've edited slightly for length. I've hit a bit of a brick wall in my search for my 2nd Great Grandfather William James Stephens, and I was hoping you'd be able to provide some direction. I've told that he may have immigrated from England to Canada due to a scandal with a scullery maid, or that he was hanged as a horse thief. Over the years, I've been able track down some information about him, but have never been able to get any details about his life before Canada. William James Stephens, at 28 years old, first shows up in the 1871 census in Essex County Ontario, along with a woman who is most likely his first wife, Elmira at 23 years old. William's age here is most likely a miscopy, and should have been 26 years instead, as all further records point to a birthday in 1839 or 1840. I have not been able to track down the marriage certificate for this. Next, he appears in a marriage record as a Widower in 1875, marrying my 2nd Great Grandmother Annie McLean. They spent the rest of their lives together in Essex county. In this marriage record, his parents are listed as John and Bridget Stephens, and his birthplace was England. I've been able to prove that he was not, in fact, hanged as a horse-thief through his death certificate from 1906 in Essex county. 2) Where was William James Stephens living in England before his immigration to Canada? 3) Was there in fact any controversy in his life? Could you offer any suggestions on how to answer these three questions? Thank you for outlining what you have found and what you want to know. That's a great help when posting a query. I can answer question #1 as I've found the marriage record of Elmira and your great grandfather William James Stephens and several other records concerning her. I believe I may also have found William's parents but that find needs to be verified. First I had a look at that 1871 census you mentioned. I wanted to see if there were clues that might have been overlooked. My first step was to head to Ancestry.com to view the census image for myself. You are right to not worry too much about age variations. Sometimes it is a simple misunderstanding of the census taker's question, sometimes it is not the individual giving the answer and sometimes an individual did not know his/her exact age or birth year! Elmira's birth location is given as Ontario so that's an indication that she and William met and married in that province. I made a note to hunt for their marriage certificate. But I wanted to keep studying the 1871 census first - and there's another clue for future research - the fact that William is noted as a farmer. Most farmers owned land. And an immigrant from England wanting to being farming would almost certainly purchase land shortly after arrival. So a search of land records would be in order. It's probably too late for him to be entered in the CLRI (Computerized land record index) but I'd start there anyway. That would give you a precise land location if he's the first time owner of the land. From there you'd get the Abstract Indexes to Deeds to find out when his name first appears as being on the land. This would help narrow the timeline for his immigration. These alternate records include Shipping Company records, Immigration Agent records, Steamships on the St. Laurence records and more. A third clue is the birth of his daughter Annie who is shown as age 1 in the 1871 census. Finding her birth registration (if it was recorded) might give you more details for William and Elmira. Sometimes birth registrations have exact residence (land) locations of the father. Little Annie provides us with more places to research. Since she doesn't appear in the 1881 census with her father and his second wife, it is probable that she died between 1871 and 1881. Finding her death certificate may provide new details on your family. Now we have several clues and ideas of where to look next in the online records. Let me walk you through what I did to find more on the family. I'll share my steps and the outcome in Part 2 of this Case Study. Sweet Sixteen for Olive Tree Genealogy - Happy Birthday! 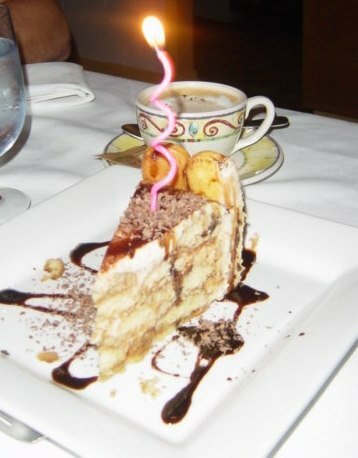 Happy 16th Birthday Olive Tree Genealogy! Did you know that my website Olive Tree Genealogy will be 16 (SIXTEEN!!) years old this month? That's right! Olive Tree Genealogy actually began in the winter of 1995 on space on my first ISP (bconnex.net). The very first primary record I put online was a ships passenger list from 1634. 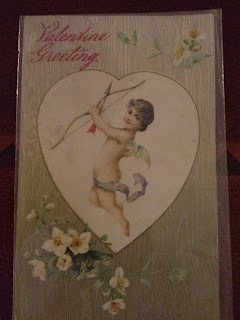 And that was the start of my obsession compulsion commitment to bringing free genealogy records online for all to use. In February 1996 Olive Tree Genealogy was given free space on the then brand new Rootsweb site. Genealogists often ask me how and why I started Olive Tree Genealogy. Making a long story short, my husband passed away in 1993 after a 2 year struggle with cancer. That same year I was badly injured at school by a disturbed student. An unsuccesful operation ensued followed by two years of enforced inactivity when I was not able to work. During this time a dear friend suggested I create a website for the internet which was emerging as we know it now. When I began my online adventures it was DOS, no windows environments. Rootsweb didn't exist. Ancestry didn't exist. We all started about the same time, as did Cyndi's List. Yep, we are all dinosaurs in Internet years! So I learned how to create a website, how to code in html (no web editors back then) and how to upload files to a remote host. And Olive Tree Genealogy was born. Another Cemetery Walk is online on the OliveTreeGenealogy Channel on YouTube. This is only a few of the gravestones in this cemetery. Are you ready? 37 more days until the 1940 US census comes online! I was invited to be a 1940 US Census Ambassador and have signed up. If you would like to participate, you can submit a request to be an Ambassador or you can volunteer to help index the census. As a 1940 Blog Ambassador, you will have access to exclusive content including badges for your site, blog post and contest ideas, blogger events, project updates and more. 1940 Blog Ambassadors will also have opportunities to be featured on the 1940 U.S. Census Community Project Official Blog. The following websites and societies are sponsoring the 1940 US Census. Please pay them a visit. This lecture about the War of 1812 will focus on events that took place in Lower Canada (now Quebec) and the Battle of Chateauguay. Luc Lépine is one of the leading experts in the War of 1812 and author of the book "Lower Canada's Militia Officers, 1812 - 1815." The following announcement was sent to Olive Tree Genealogy by Fold3 . If you're looking for a Union Soldier this may be what you've been waiting for! Fold3 is excited to announce the expansion of the Civil War Collection by adding the Index to Compiled Service Records of Union Soldiers. The first four states available in this collection are Ohio, New York, Massachusetts, and Pennsylvania. Each index card gives the name of a soldier, his rank, and the unit in which he served. Anyone looking for a Union soldier in the Civil War will find these cards useful in identifying the state and regiment in which a man served and how his name appears in the military records. You can then locate his records to learn about his service in the war and the battles in which his regiment fought. Beginning in 1890, Capt. Fred C. Ainsworth, head of the Record and Pension Division of the War Department, spearheaded an effort to create card abstracts of information from muster rolls, regimental returns, descriptive books, and other military records to build a compiled service record for each Union soldier. The index cards reference the resulting Civil War Service Records, many of which are also available on Fold3. As an example, the index card for Timothy Canty tells us that he served as a private and an artificer in Company A of the 1st New York Engineers. We can then find Canty's service record as the 1st New York Engineers is one of regiments digitized on Fold3 . This new index, viewed as card images on Fold3, may be familiar to some. The National Park Service transcribed these cards, referred to as "General Index Cards," and placed the data online in its Civil War Soldiers and Sailors System. When searching for a soldier there, you are provided with a transcription, while Fold3's images allow users to view the original card as well as determine the accuracy of the transcription. Once you find the soldier you're looking for, you can connect his index card to his service record on Fold3 , or contact NARA for copies of his documents. I don't have much about my dad's father's side of the family. They resided in Brandon, Manitoba and were on the 1911 Census as Stephi, Annie and Mary Pravada . I don't know if Stephi was short for something, but his headstone says Steve. I also know that, for whatever reason, there are 3 different spellings of their last name. One being Pravada (per censes), one being Prawada and my maiden name was Prewedo. My family attended a Ukranian Catholic Church in Brandon. I'd really like to find their immigration record or more about the family. 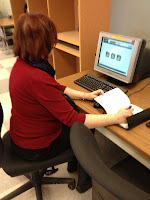 Melissa search of the 1911 census didn't include viewing the actual image on Collections Canada or Ancestry.com . She relied on a transcript on Automated Genealogy which only shows part of the actual census page. There are several clues in this one census. The immigration years are different for Stephi and Annie. This indicates they may not have travelled together and might not have been married before arriving in Canada. Keep in mind that immigration years are often mis-remembered but we still can narrow the timeframe for a ships passenger list to 1904-1907. Canadian ships passenger lists are available on Ancestry.com and on Archives Canada. Archives Canada are not indexed so you would be best to search Ancestry's indexes. Since your surname can have many variations and since Stephi is no doubt a nickname or shortened form of his real name, you will need to use wildcards in any searches. You may want to hunt for a marriage record for Stephi and Annie. That will give you her maiden name and other details such as parents' names for both bride and groom. How about looking for baby Mary's birth record? That also would give you Annie's maiden name and might provide Stephi's full legal name. But before we jump into immigration or vital records, I decided to have a hunt in the online 1916 Prairie Provinces census. Bingo there they were - misindexed on Ancestry.com as PRURDO but clear on the image as PREVEDO. Do you see why wildcards are helpful? By searching for PR*D* I was able to find the misindexed entry PRURDO. And we could look for the births of all three of their children. The birth location will vary as there were many boundary and name changes for those European areas and it is unlikely that you will see a consistent name for their places of birth. Using wildcards I was able to quickly find the marriage of Stephi and Annie, the birth of little Marie, and the death of Stephi. There may be more records there that you can obtain. The marriage entry (remember it's only an index) shows the marriage of Stephen PREWDA [sic] and Onna [sic] SNATKO [sic] on Feb. 10, 1908. You can order the full record online after you find what you want in the indexes. It is quick and easy so you can now have the thrill of obtaining the record and getting more details. I also suggest ordering Mary's birth record just to get a confirmation of her mother's proper name - both first and last. A search reveals several of your family members: Stephen born 16 July 1882 in Austria; Annie born 13 January 1888 died 3 Feb 1943; Michael Stephen born 16 April 1915 died 1 May 1979. This now provides you with a precise date of birth for both Stephen and Annie which should help in finding them on ships passenger lists and if you decide to conduct research in European databases. Let's not forget the notation of religion in the census records. Since Stephi and Annie were Roman Catholic you may wish to check for Catholic Churches in the Brandon area. Find out what records exist and where they are kept. Then you may be able to obtain more information on the family by hunting in those church records. Since you do not know whether Stephi and Annie arrived in Canada or in America you will want to keep your search parameters open. I suggest using Ancestry.com ships passenger lists search to have a hunt for them. Many indexed records are online but you are going to have to write to Citizenship and Immigration Canada to request a lookup in the 1912 records. The complete address and explanation is found at NaturalizationRecords.com website. Remember to add a year at least on either side of the date Stephi gave in 1916. From the Irish Civil War to the American Revolution, and from the African nation of Cameroon to the Republic of Bulgaria, Season 3 of Who Do You Think You Are? sponsored by Ancestry.com take you all over the world and inside the fascinating family histories of 12 celebrities. I hope you watched Episodes 1 and 2 with Martin Sheen and Marisa Tomei. Next is Episode 3 on February 24th with Blair Underwood who travels to Africa to uncover his roots. Labels: Ancestry.com, WDYTYA, Who Do You Think You Are? This week's free digital kit is shown on the left. Please note that all of these are .png files only, not MyMemories Suite Templates. They are usable in any software. 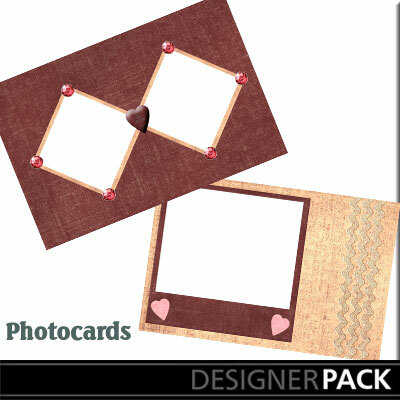 These freebies include 2 Quick Pages, and all of the papers and elements used in creating them. The elements and QuickPages are.png and the papers are .jpg format. These Quick Pages will not autoinstall into the software itself, but are used by adding to your project as you would a photo, and then layering your photo behind the open box. From there you can add journaling, embellishments and more to truly personalize. It's Movie Monday and today I have uploaded the last of 7 videos of a Cemetery Walk through Diamond Springs Odd Fellows Cemetery in El Dorado Township, California on the OliveTreeGenealogy Channel on YouTube. Looking For an Ancestor in Canada, eh? 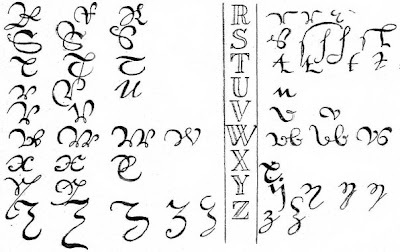 George Anderson was born in 1806 or 1807 in Roxburghshire in Scotland. Jessie Powell was born about 1805 also in Roxburghshire. We don't know when they married however their son Archibald McLaren Anderson was born in Scotland in 1822. Their daughter Janet was born in 1835 but we are not sure if she was born in Canada or Scotland. 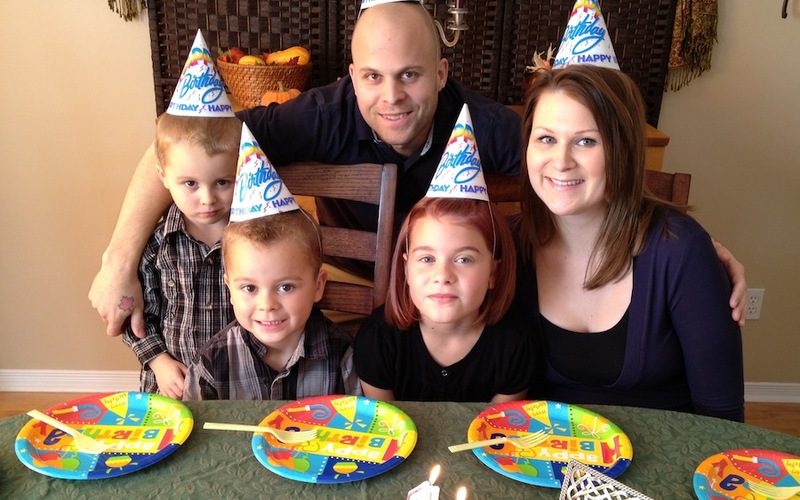 We know George, Jessie and Janet (and their youngest child Elizabeth) all died in Canada in the Huron County area. We have photographs of their tombstones in the Wingham Cemetery. George died in 1857, Jessie, Janet and Elizabeth all died in 1880. We know Archibald arrived in Australia from New York in November 1852. We can then follow his movements from then..
1. When did the Anderson family migrate to Canada from Scotland? 2. What happened in 1880 to cause three deaths in the one family? 3. Was Janet born in Canada? We believe Elizabeth was born in Huron County in 1848. Fiona - I edited your email for space reasons and removed question 4, preferring to focus on your first 3 questions. First I must thank you for a well-written query. You summed up what you knew, what you don't know and what you found out. You also provided me with a list of resources you have used. Well done! And now, on to my answers. I hope you'll be pleased with what I found and my suggestions for further research. I don't usually do actual research for a question but yours intrigued me as the death registrations for Jessie and her two daughters should be online on Ancestry.com and on FamilySearch. These will show the cause of death for each and thus would answer your question #2. So I had a quick look and found all three. There are many extra clues in death registrations too. Death registrations show that Jessie died of old age. Janet (who is registered as Jeanette) shows her place of birth as Dumfries Township Canada and her cause of death as consumption. The informant for both deaths was John Anderson, a Miller of Wingham. I suspect John was a son of Jessie and George because in 1870 he buried his 3 month old daughter Jessie - no doubt named in honour of his mother. I had to hunt for a bit for Elizabeth's death registration as she died a married woman and so was under the name Elizabeth Linklater (her husband being Peter). Elizabeth also died of consumption in 1880. Since her death registration shows Janet/Jeanette born in Dumfries ca 1835, you could look for the family in the 1851 census. Much of the 1851 census for Ontario is missing but being curious I decided to have a look at Canadian census records on Ancestry.com . Sure enough there they are - not in Huron Co. but in Blenheim Twp Oxford County. The family consists of George, Jessy [sic], Janett [sic] 18, John 16, William 14, Margaret 12, George 10, Isabella 6 and Elizabeth 4. All the children are listed as born in C.W. which is Canada West, which is present day Ontario. Don't forget to expand your search if you can't find someone first time. So even if you think the family is in a certain location in a certain year, if you don't find them, widen your search parameters - don't exclude other locations. Use wildcards. Jessie was found as Jessy. Janet was found as Jeannette and Jeannet. This is where wildcards are useful. A search for Jes* for example would pick up Jessie, Jessy and any other variant spelling that begins with Jes. The family is still in Blenheim Twp in 1861. Jessie is now a widow. They must have had a bit of money for they are shown as living in a 2-storey brick home. Most of their neighbours were in log or frame houses either 1 or 1 1/2 storeys. George is listed as a farmer so it is possible you will find him in land records, which would narrow the timeline for his immigration from Scotland. You could now get the Agricultural Census for each census year. The Agricultural portion of the census will provide you with a land location and more details such as how much land was pasture, how much was cultivated, and so on. Few Agricultural Census are online so you may have to order microfilm in to a library or family history center for this. You can also check the CLRI which is the Ontario Land Record index to find if George was a first time buyer of Crown land, and if so you will then have an exact year of purchase and under what conditions he acquired his land. This will also indicate if there might be a petition on file. There may also be tax or assessment records available for the pre-1851 time period for Oxford County. I would also check Waterloo County as that is where Dumfries Township is located. Unfortunately Ships Passenger Lists to Canada before 1865 are few and far between. It was not a requirement that passenger lists be archived before that year. There are some surviving lists but they are few and far between. The best idea would be for you to go to the online project called Filling in the Gaps and check each online project to look for your ancestors. The online projects include shipping company records, steamship records for bringing passengers down the St. Lawrence River once they landed in Canada, Immigration Officer records and so on. Based on what I found online we now know that your family arrived in Canada ca 1835 or earlier. If Archibald was born in Scotland in 1822 you now have a timeline of 1822-1835. We know a few more children from the census records. It is possible that by researching each of their movements you will find out more about the family in Scotland and in Canada and their arrival. There may be an obituary for one of their children which gives details of the parents' arrival in Canada. One item of great interest I think is that three of George and Jessie's children gave their mother's maiden name as SLATER at their marriages. You have her maiden name as POWELL. It's the kind of discrepancy that is great fun to research! Please do let us know how it goes. I'm quite interested in this family now. Don't miss this great chance to find your ancestors in 1930.
features and social networking for discovering and sharing their family legacy. complete picture of their history”. strictly confidential and is never shared. Have I ever mentioned how easy it is to scan family photos with the Flip-Pal Mobile Scanner? 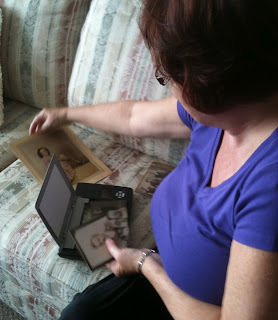 That's me on the left sitting on my auntie's couch with a few of the photos she took out of boxes for me to see. And that's the amazing little Flip-Pal Mobile Scanner on the couch beside me. It's small. It's portable. It's lightweight. I can't say enough good things about it! I try to get down to see my auntie whenever possible. I take her dinners that I've cooked and frozen in small quantities, and she tells me stories of her childhood (which I record using my SmartPen) while I scan the family photographs. If you don't own a Flip-Pal Mobile Scanner, you might want to take advantage of a special offer for President's Day. Land Registry Offices - No Need for Fear! I confess. In all my years as a genealogist I've only been to the Land Registry Offices once, and that was to accompany an experienced Land Registry Office user. I've never been on my own and thus I've never actually used their resources. "The Central Production and Verification Services Branch of ServiceOntario manages and operates 54 Land Registry Offices throughout Ontario which register, store and manage documents such as deeds, mortgages and plans of survey. Registration of real property is done under either the Land Titles Act or the Registry Act. All registered and deposited records are available to the public (for a fee) to search title or obtain information about the ownership of real property." 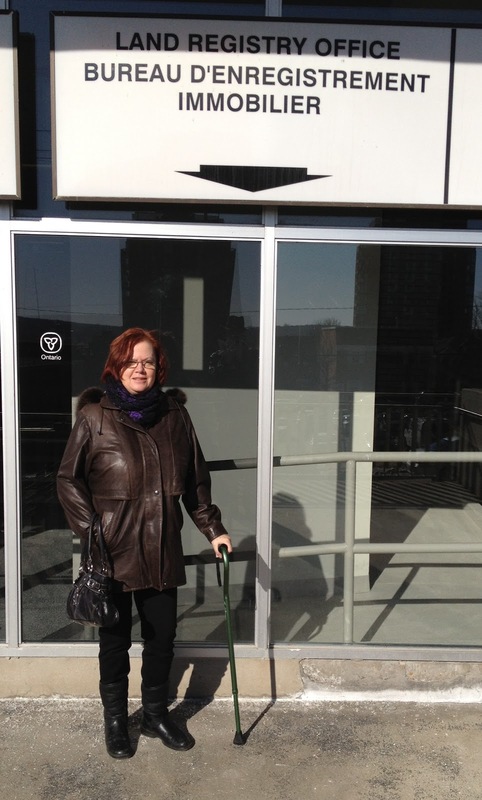 Part of my reluctance to visit my local Land Registry Office in Barrie Ontario was that I'd heard stories from other genealogists - not about the Barrie office but about Land Registry Offices in general - that genealogists were not welcome and that staff were reluctant to assist genealogists. But I'm here to tell you otherwise! 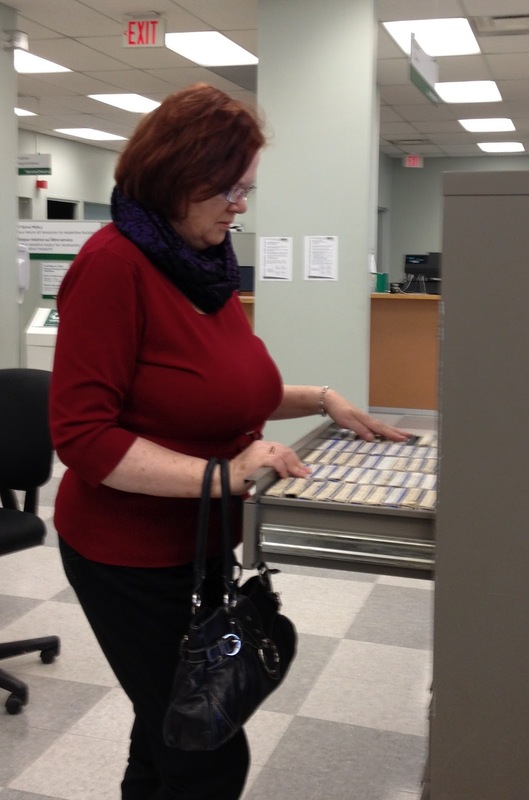 This past week I took the plunge and visited the Barrie Land Registry Office to look up records for the land that we own. It was a wonderful experience. The staff were amazing. The young woman at the desk was helpful, courteous and patient with my husband and I. She explained how the services worked, asked questions to determine what we required, and took us to the exact book we needed to start the process. She explained all the steps we needed to take, and showed us to the drawer for the microfilm we needed, then proceeded to pull the film box for us. 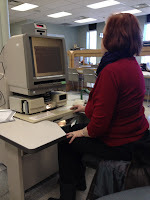 Next step she chose a microfilm reader-printer, brought us a second chair and even put the reel of film on the reader. She also arranged for me to speak to the manager, Steve Small, to ask if my husband could take a few photos of me at the computers, the microfilm reader and the microfilm drawers. The general policy at the Land Registry Office is that no photographs are allowed. Mr. Small was very accomodating and agreed that as long as I did not photograph documents or maps or other materials, I could use my camera for pictures to illustrate this article. It was very easy once we got started (thanks to the assistance of the LRO staff) and I want to share the steps with you. It was a fun project as we now know the name of the first time buyer of our land, the date (1839) and what it cost. We were curious as to when the original farmhouse was built on our property and who lived in it. We knew the house was built ca 1890-1910 but that was all. While the building of a house was not listed in the land records, we were able to narrow down the family who lived there in 1911 and I later found them on the 1911 census for this area. We plan to go back to look up the history of other homes I have lived in over the past 40 years. To find records you must know the proper designation of your land or home. In our case we needed Lot and Concession number plus Township. For a house in town you would need the designation on your deed of ownership. You can use computers which are the more recent transactions dating from present day back to when the original land books were transferred to microfilm. The computer records do not go back very far, only to around 2000 or 2001 I believe. To use the computer you can search by name of the current owner or by street name and number or by the registration number which is a unique number assigned when documents, deeds and mortgages are registered. When you find a record of interest, you can pay by credit card or debit card online or by cheque or cash at the front desk, then print your record. 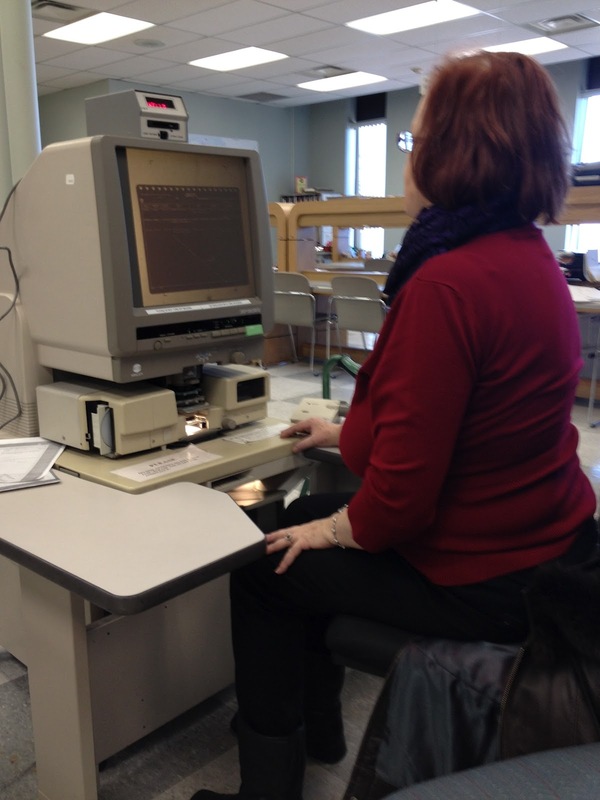 To find earlier records you will need to search microfilm. Your first step is to check the book which is a Finding Aid to the correct reel of film. Check your township, then concession number. Write down the microfilm reel number and go to the labelled drawers. Then start viewing your roll of film on a reader-printer. To print records you need a $5.00 copy card which is refundable when you turn the card in when you're done. You can pay for a copy card with cash or a cheque. Each page you print costs 50 cents. We printed everything from 1839 to the present day - a total for us of about 20 pages. 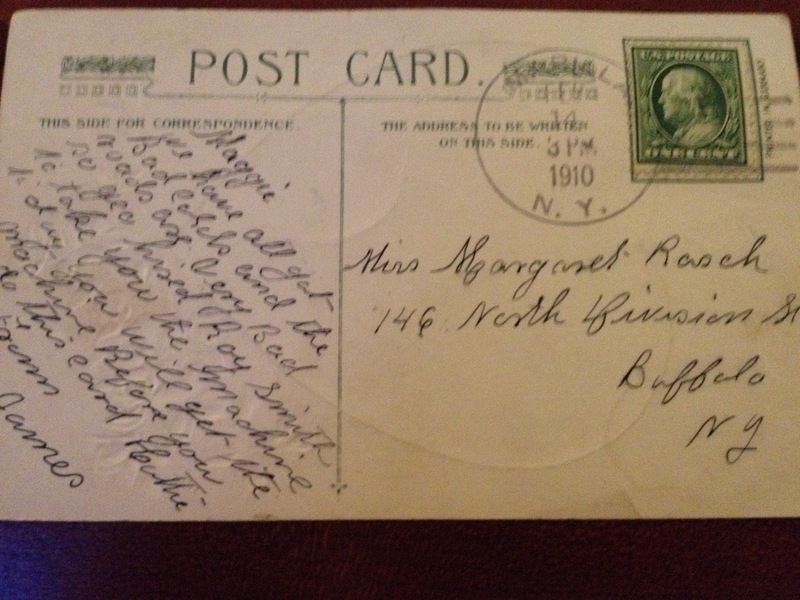 It's been really interesting researching the family who lived in the original farm house in 1911. I'm looking forward to researching the early families of my last home which I suspect was built around 1870 or 1880. There is much of value to genealogists in the land records. For example you might find mention of a spouse, and sometimes a first name is given which could be the answer to a brickwall. Often there is mention of an estate for an owner which is an indication that the individual has died. You can track the trail of ownership which may help determine relationships of individuals. The benefits to genealogists deserves a blog post of its own but that's for another day. So don't hesitate - visit your local Land Registry Office and have a look at the history of your house! But please ask if photographs can be taken. Remember that repositories such as Archives. Libraries, Museums etc. have different rules. Find out what they are and follow them. It's a little matter of courtesy and respect. We have all got bad colds and the roads are very bad so Geo hired Roy Smith to take you the machine today. You will get the machine before you do this card. Looks like James needed a little help in the romance department! It's Movie Monday and today I have uploaded two more videos of a Cemetery Walk through Diamond Springs Odd Fellows Cemetery in El Dorado Township, California on the OliveTreeGenealogy Channel on YouTube. There will be 7 videos when the Cemetery Walks are complete for this cemetery. These are Cemetery Walks 5 and 6. One more to get ready to go online and this cemetery will be done. Looking for descendants of Prisoners-of-war held in Holzminden POW camp for officers in Germany from September 1917 to December 1918. In 1918 a group of Allied Prisoners-of-War spent 9 months digging a tunnel to freedom. A movie, tentatively called "The Enemy Within" is under production to tell the story of these men and their escape. A companion book is also being written. It is a collection of Holzminden POW profiles. If you or someone you know is a descendant of a soldier who was held at this Prison camp you are asked to contact Jacqueline Cook, author and screenwriter. Your ancestor does not need to have been involved in the escape to qualify. 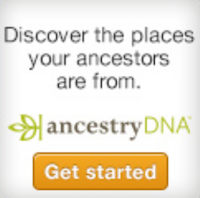 Who Do You Think You Are, sponsored by Ancestry.com is back for a 3rd season. Be sure to watch Episode 2 this Friday, February 10 at 8/7c on NBC. Episode 2 features Academy Award winning actress Marisa Tomei. Marisa ventures to Italy and investigates a family murder mystery to discover who killed her great-grandfather. Olive Tree Genealogy Blog is 9 Years Old Today! Happy Birthday Olive Tree Genealogy Blog! Happy 9th Birthday to Olive Tree Genealogy Blog! That's right - 9 years ago today on February 9, 2003, my first blog post was published. And here I am, 1500+ posts later... still writing and talking! Thanks to my wonderful readers who make it all worthwhile! Here's to you! 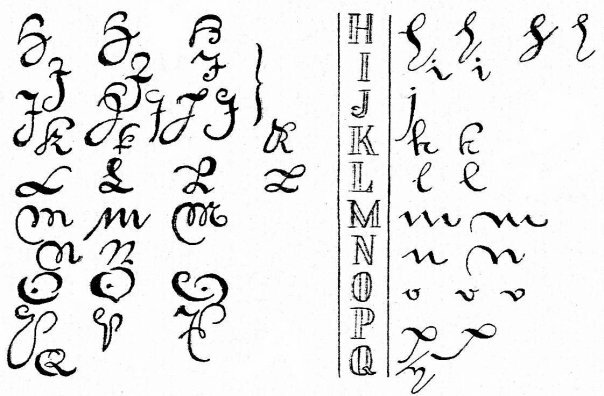 These are a few samples of early (16th & 17th Century) Dutch letter formations. 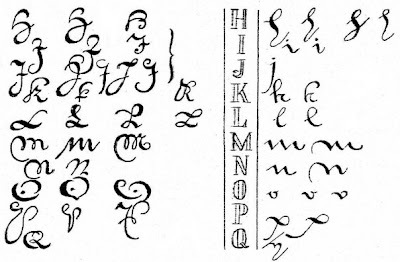 I found them helpful not only in my Dutch research but for figuring out other countries' changes in handwriting. A few days ago I had a very informative Skype chat with two of the reps from Flip-Pal Mobile Scanner company. I'll go into details on the various things we talked about in future blog posts, so keep an eye out for them. One item though that they wanted me to share with my readers as soon as possible is that there is a new software upgrade and it's important to download it. Walt told me that the new software is much better at stitching intricate details. 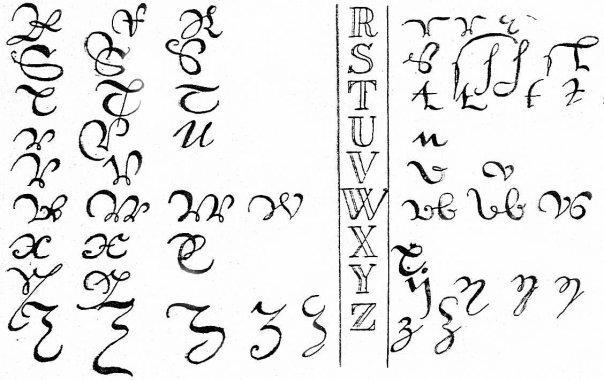 For example if you scanned a large certificate that had lots of elaborate scroll work on it, with the new software you're going to have much better stitching results. The final stitched image should be very clear and well done. Right now the upgrade is freely available on their Flip-Pal Mobile Scanner website. All you need do is click on the tab for Customer Care and follow the instructions. I just downloaded my upgrade and it was super easy. The only tricky part is entering your password, which is the first five characters of your serial number from the bottom of your Flip-Pal Mobile Scanner. "Characters" includes brackets. So if your serial number starts with (B) etc then the first 3 characters are (B) and you must count those toward the total of 5 needed as your password. So go - get your free software download today. If you don't have the Flip-Pal Mobile Scanner yet, you really should get it! I love mine and have no complaints about it at all. I didn't know I had an FTM (Family Tree Maker) Archive. But I do. I found it while looking for the software for one of my printers. That's my FTM Archive on the left. The earliest FTM version I own is Version 3.01. It came out in 1996. 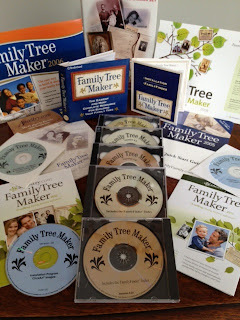 My most recent is FamilyTreeMaker 2012. Yep, I've been using FTM for at least 16 years! I say "at least" because I'm pretty sure I bought it before 1996. I think that pre-1996 versions were not CD-ROMs, but the little floppy discs we used to use. Unfortunately I can't find my stash of floppies so I don't know for sure what year I started using FTM. I recently obtained FTM 2012 for both my Windows Computer and my MacBook Air but have yet to install or test drive them. If past history is an indicator, I'm going to love FTM 2012 as much as my previous versions. Here are the versions I currently have in my FTM Archive. What versions do you have? There will be 7 videos when the Cemetery Walks are complete for this cemetery. These are Cemetery Walks 3 and 4. 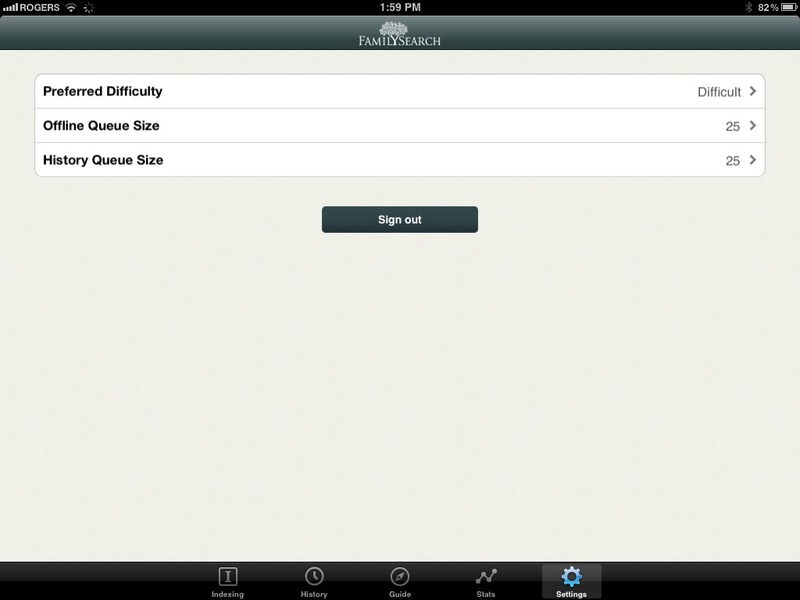 FamilySearch launched its much-anticipated mobile device for indexing. The device will expand the capability of volunteers to help make the world’s historic records searchable online. The mobile device app works on Apple iPads, iPhones, and Droid smartphones. To download the free app, search for the FamilySearch Indexing app in the Apple app store or Droid Market store online. 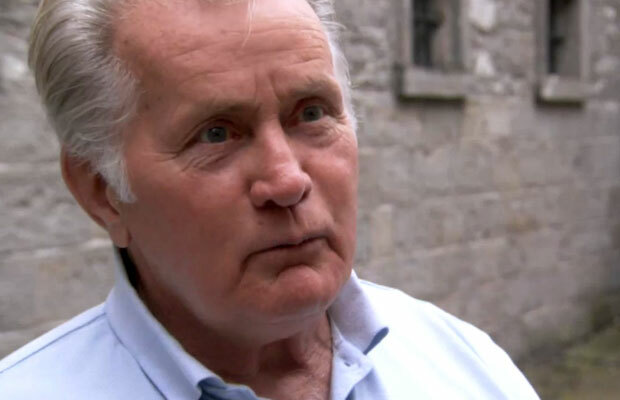 Last week NBC held a Press & Media Conference Call with Martin Sheen, one of the celebrities featured on this season of Who Do You Think You Are. Olive Tree Genealogy blog was fortunate to be invited to join in this interview session. During the 45 minute interview Mr. Sheen shared his experiences and his reactions to finding ancestors who shared his own commitment to social justice, to learning about two ancestors "over-the-top" connection and to learning about his family roots. Mr. Sheen's passion and enthusiasm for what he had learned on the journey with WDYTYA was undeniable. Strong connections were made with ancestors who shared his own commitment to social justice. Two uncles fought and suffered for their beliefs. One uncle, his mother's brother (Michael Phelan) in Ireland was an Irish volunteer and fought in the War of Independence and then fought against the Free State in the Civil War from 1921 to 1923. On his father's side, an uncle in Spain fought against Franco at the onset of his coup and was imprisoned for many years. Mr. Sheen wondered if "maybe this is some unknown quality that I have possessed" and pondered that it might be part of his DNA. Mr. Sheen shared his belief that the fundamental purpose [of genealogy research] is to "try and identify personally to your foundation", that anyone taking such a journey is "looking for a personal identification with the past"
When asked whether or not he s aware of the online genealogical resources such as Ancestry.com before he became involved with Who Do You Think You Are Mr. Sheen confessed that he does not have a computer but that he was a fan of the show, having watched previous episodes. He does plan to continue researching his family roots with his wife's help. When asked what he hoped that his descendants would learn about him and his legacy in the future, Mr. Sheen said he felt " a sense that I was doing it [Who Do You Think You Are] for my grandchildren and their children." He added that "if something could be uncovered that would be meaningful to future generations, you know, I would be a part of passing that on and that would be very, very satisfying." Mr. Sheen went on to say "the more information we get about the past, the more we can anticipate the future I think, you know. And so as I say, my involvement in this journey was a deeply personal one and at the same time I felt it was my responsibility for the future generations." "this past experience with "Who Do You Think You Are?" was the most gratifying of all the journeys I made there because it was specifically done to unearth my heritage. And I took it very, very personal and embraced it wholeheartedly. No matter what came down I was going to accept it. I wasn't always prepared for what I learned but the journey itself was deeply satisfying. And I've seen the final show and it is a very clear reflection of my journey." Followup: Having watched Mr. Sheen's episode of WDYTYA last night, I saw what Mr. Sheen referred to during the interview as what would be considered "too far-fetched" and "over-the-top" to be believed if it was written in a novel. It's the kind of fascinating story that every genealogist longs for. Mr. Sheen's 4th great grandfather Don Diego Francisco Suarez born ca 1713, a prominent judge in Spain, prosecuted a woman who had an affair with a "privileged" man in the community, then became pregnant and attempted to procure an abortion. Don Diego put up wanted posters to apprehend the young woman and tried everything in his power to apprehend her for prosecution. Several generations later a descendant of Don Diego married a descendant of this young woman he had prosecuted. Those two descendants are Martin Sheen's ancestors. What a story! Labels: Ancestry.com, Interviews, Martin Sheen, NBC, WDYTYA, Who Do You Think You Are? The following press release was sent to Olive Tree Genealogy. I tried it out but you have to be registered with werelate.org to submit entries. I'm not registered so will look into this in a week or two, after RootsTech! 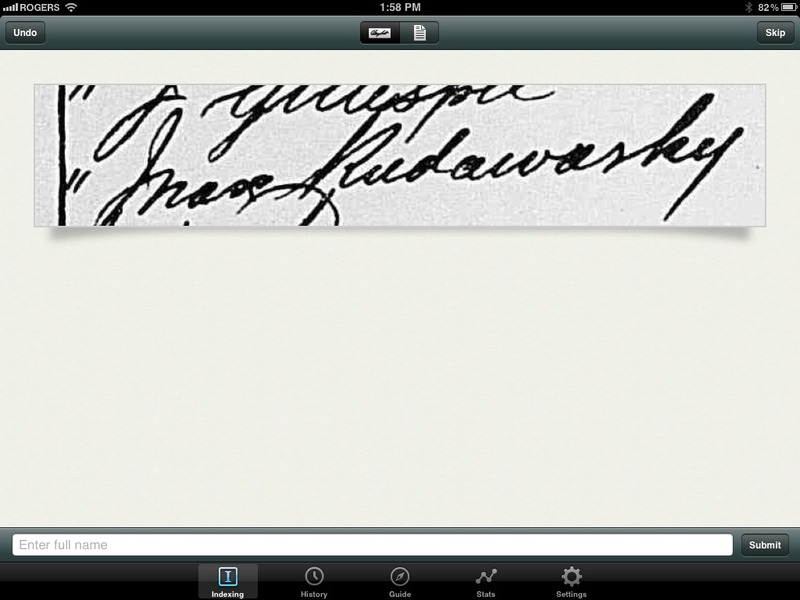 Flip-Pal Scanner Has New Goodies for Genealogists! It looks like Flip-Pal Mobile Scanner has done it again. They've developed some new goodies for genealogists (and anyone else using this wonderful little scanner). I was supposed to be interviewing Flip-Pal Mobile Scanner representatives Walt and Diane today during the Rootstech 2012 convention but unfortunately that's not possible now. But for those attending RootsTech 2012, the Flip-Pal mobile scanner team will be demonstrating the benefits of using a wireless SD card to transfer scanned images—both documents and photos—to a variety of electronic devices including smart phones, tablets and computers. There will also be demonstrations of the Flip-Pal mobile scanner Sketch Kit, an easy-to-use method of annotating scanned photographs and documents. 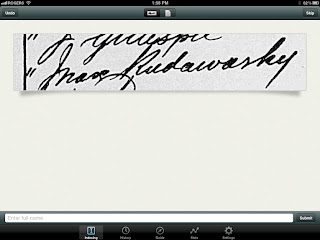 Can you imagine how nice that will be to make notes that attach to each photo or document you scan? I've spent many hours scribbling notes into a notebook and struggling to make sure I match each one with a photo I've scanned using my Flip-Pal Mobile Scanner. This sounds like a winner! To purchase your Flip-Pal Mobile Scanner just click on any Flip-Pal Mobile Scanner link in this post. It's True - #RootsTech goes Live Today with Streaming Sessions! Don't miss out on live-streaming of RootsTech 2012 starting today at 8:30 am Mountain Time. Win the Trip of a Lifetime to your Family's Homeland! In conjunction with Season 3 of Who Do You Think You Are, Ancestry.com is running a Sweepstakes where 3 Grand Prize winners will win a trip of a lifetime to uncover their own family history valued at $10,000! The Sweepstakes includes a trip to the winner's homeland to explore their family roots, round-trip airfare for two, hotel and $2,000 in cash, plus a 6-month Ancestry.com World Explorer membership and an Ancestry.com DNA test to discover their genetic ethnicity. Labels: Ancestry.com, Genealogy Contests, Sweepstakes, WDYTYA, Who Do You Think You Are?